Not too long ago I received a request to view a film called "Stoney Point: Portrait of an American Crag" and finally made some time to sit down and see it, making a tiny dent in the heap of new climbing media that I have to check out. This one is almost by default unlike most work out there, as it focuses attention on a climbing area that in terms of visitation, is one of the most popular in the country, yet virtually unknown outside Los Angeles. When most films/videos (and I wonder what the difference is) try to put something new out there, or at least try to present the old as new, the Stoney Point film supports the quaint notion of tradition as worth celebrating for its own sake. Stoney Point is an example of that much-maligned yet essential climbing area, the urban crag. Although with the arrival of climbing gyms, these kinds of cliffs and boulders are not as central to the climbing experience as they were decades ago, they remain a vital part of the scene across the country, whether at Rat Rock in NYC, Flagstaff Mountain in Boulder, or Indian Rock in Berkeley. They can usually boast a few famous alums, several sandbag "classics" and one or two epic stories. Often the rock is a little off center as well, being either an unusual type or of uneven quality or both. Problems are usually dialed down to the last millimeter by old school climbers and every possible variation explored to its logical (yet often absurd) conclusion. Beginners can be found bumbling along and (barely) staying out of trouble navigating the problems and the ruthless gamesmanship of the regulars. The best climbers will never stay here long since the problems are rarely cutting edge yet you might catch a glimpse of legends of long ago, as I have done on a few occasions at Flagstaff Mountain, once-brilliant climbers revisiting memories of the past. Stoney Point is just such a place with its less-than-optimal sandstone and relatively moderate level of climbing. Nobody would make a pilgrimage here, yet as the film makes clear, there is a certain sense of devotion among regulars, climbers who make the best of necessity and find themselves inexorably drawn into the area's orbit, absorbing its peculiar genius loci and finding themselves initiating others into its lore. The film itself is neither spectacular nor awe-inspiring in the conventional sense., though nice camera work and thoughtful interviews are found throughout. Vintage photos and footage from way back in the day give the historical context so central to the spot. Royal Robbins recalls the way in which sessions at Stoney allowed him to develop the skills and rock sense that would take him up some of the biggest steepest walls in the world. Sadly several alumni of more recent times are now dead, including Michael Reardon, John Bachar and the enigmatic John Yablonski, all of whom left their mark on the place. It's the contemporary characters that give the film its distinctly local flavor. I think there will be more films of this kind as the voices and faces that have defined the past five decades are aging and disappearing. 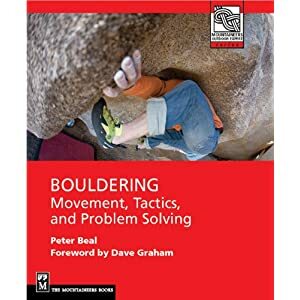 They provide a much-needed corrective to the ceaseless appetite for the sensational and the action-oriented videos that dominate the visual culture of contemporary climbing. You can download this important film at http://www.iclimb.com/products/Stoney-Point-Download.html.